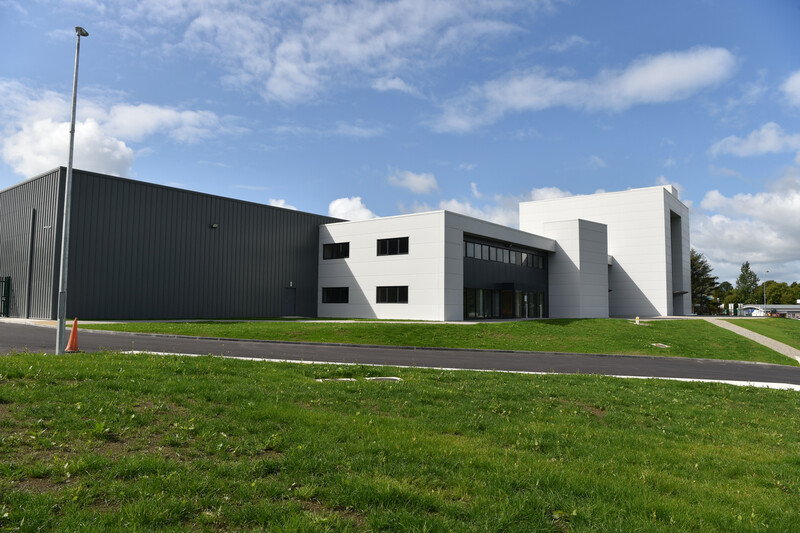 This project consists of the construction of a new food processing production facility with a floor area of 4,270m². 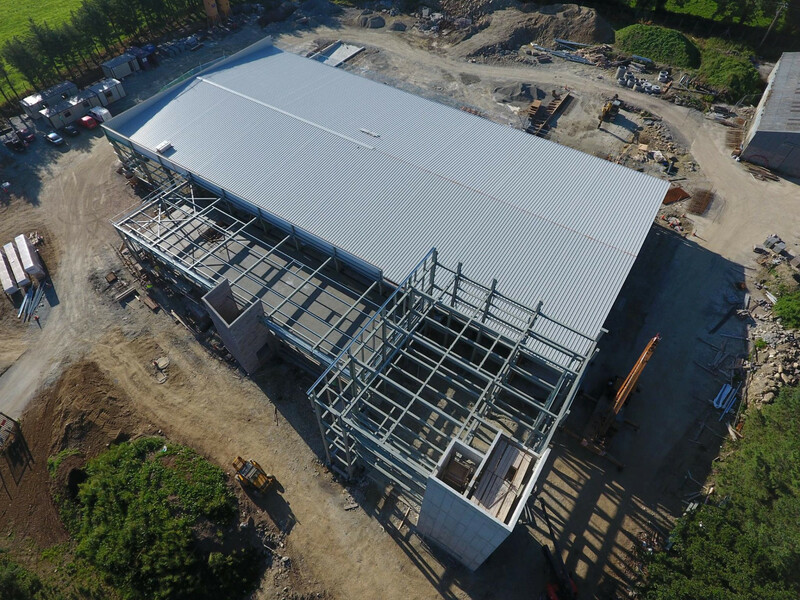 It is comprised of a combination of a double height single store portal frame structure that will predominately accommodate the main bulk production area with a two-storey office block towards the front that will serve to accommodate the administration and welfare facilities. There also is a four-storey block on the western end of the two-storey block. 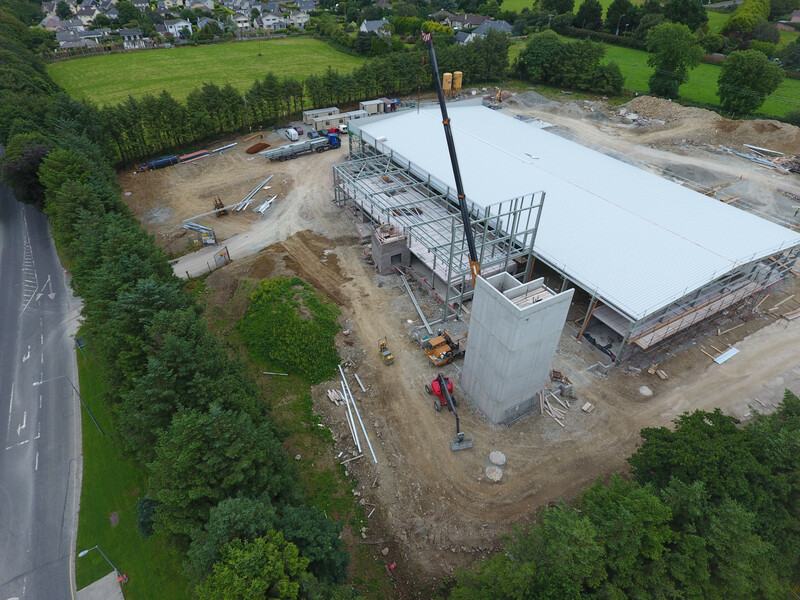 This project highlights Cahalane Bros ability to run a vast scale project through all phases from commencement to completion stage, while working in close harmony between the client and design team as the site and plans progressed and new developments were being incorporated into the plans and schedule. 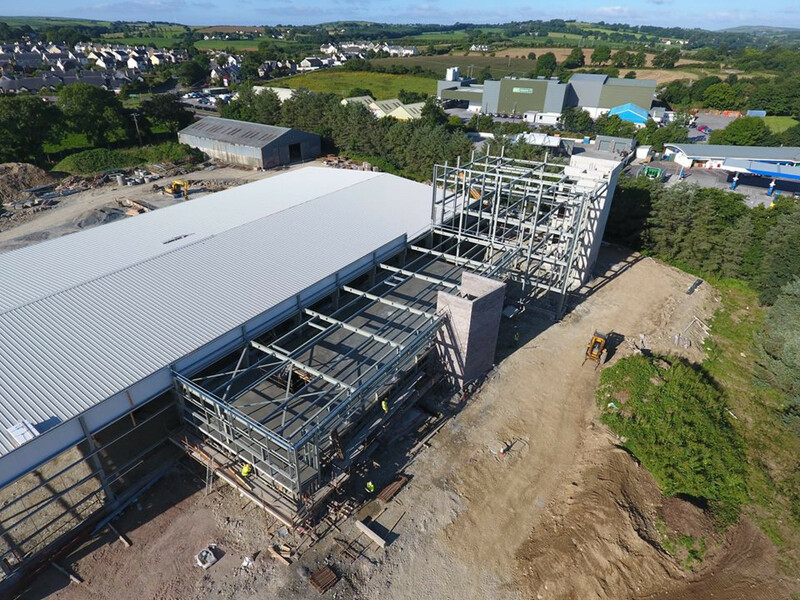 The development of this commercial plant initially involved the demolition of pre-existing structures and the clearance of the site which also involved specialised asbestos removal operations regarding the existing structure. 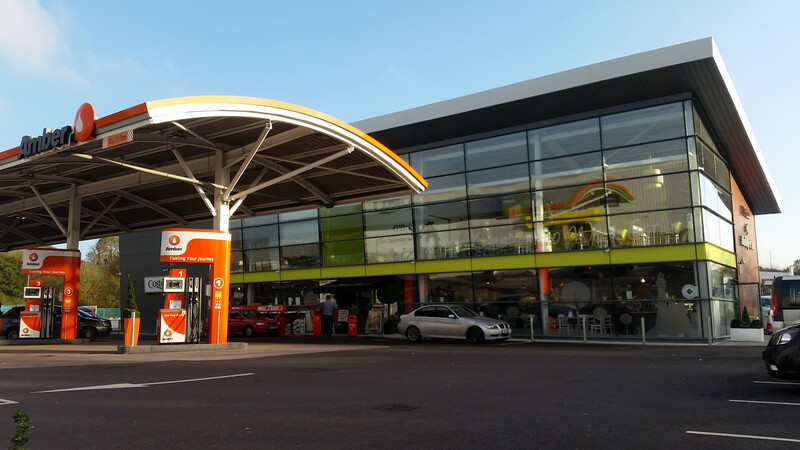 A substantial groundworks operation was undertaken before large scale blockwork, insitu concrete, external stonework and cladding phases were undertaken. All this was performed very much to the design team and clients satisfaction while a clean safety-conscious site was at all times maintained. 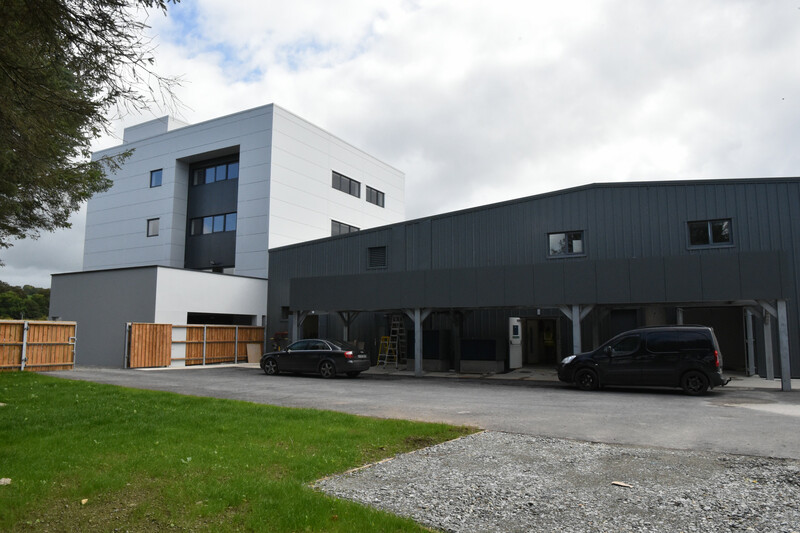 Also, the fit out of this plant has been of a highly specialised spec which Cahalane Bros have overseen managed in conjunction with various sub contractors. 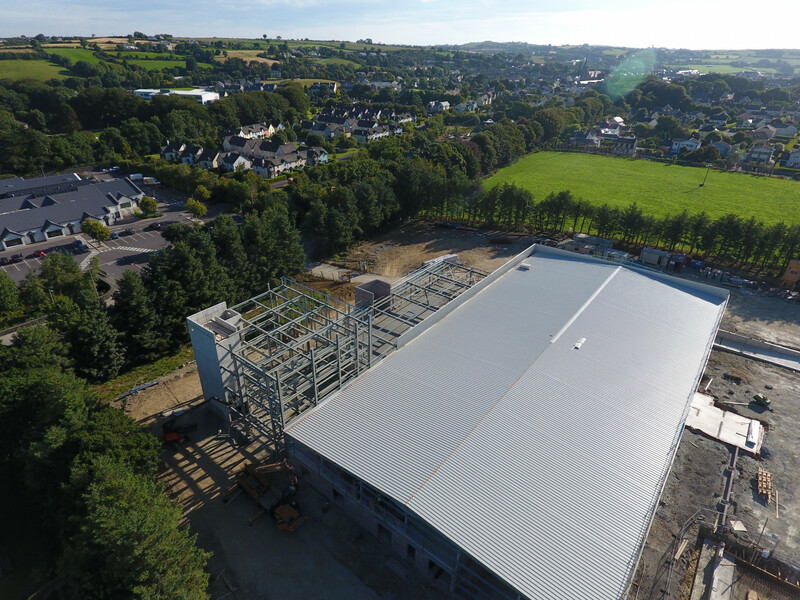 The design married The company's ability to pre-plan, schedule, procure and deliver the works gave the client the confidence to contract Cahalane Bros to deliver the fit-out and mechanical and electrical works for the building and was a significant vote of confidence in our capabilities. 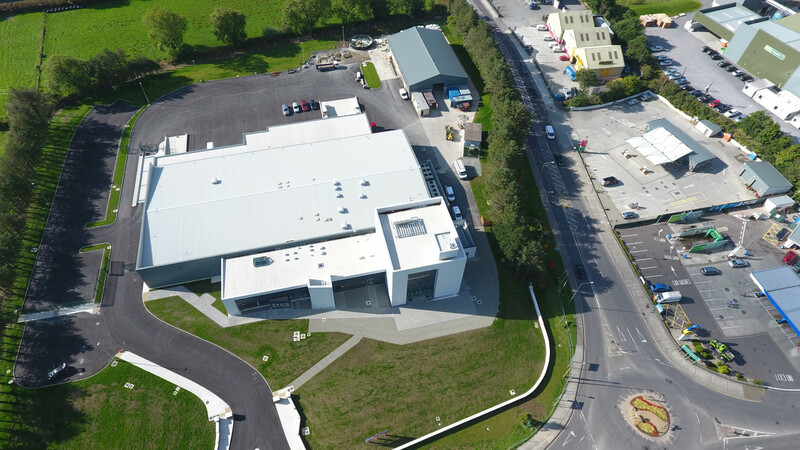 Client Edward Twomey & Co.
M&E Consultant Jerry Geaney Building Services Consultants Ltd.